A suicide bomber killed four soldiers in the southwestern Pakistani city of Quetta and a gunman shot dead two policemen in a separate attack in the restive province on Wednesday, officials said.Quetta is the capital of Balochistan, a province bordering Iran and Afghanistan where police and troops have been battling Islamist militants and separatist groups for more than a decade. 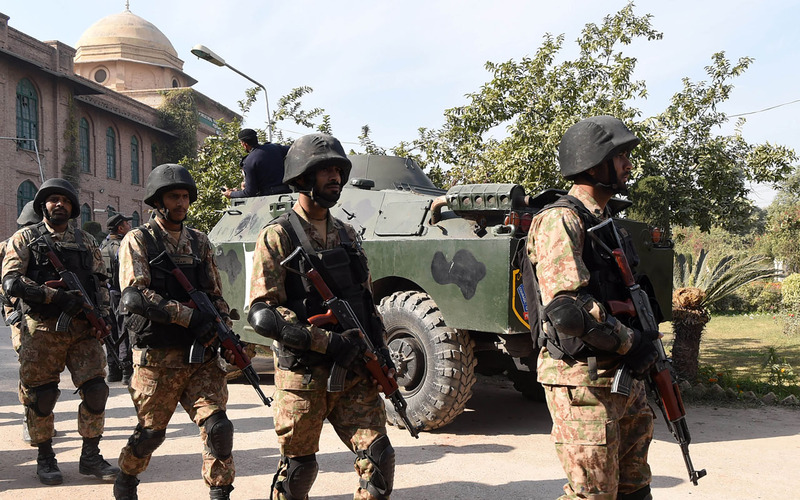 “Four soldiers were martyred and two others were wounded when a suicide bomber blew himself up at a checkpoint in the outskirts of city,” a paramilitary force spokesman told AFP. Bomb disposal officials said that the bomber had strapped about eight to 10 kilograms of explosives on his body. Separately, a gunman ambushed a police vehicle and shot dead two policemen, also in Quetta city, senior police official Abdul Razzaq Cheema told AFP. A senior police official was travelling with his family in the vehicle but they escaped unharmed, he said. The mineral-rich Balochistan is the largest of the country’s four provinces but its roughly seven million people have long argued they do not get a fair share of its vast gas and mineral wealth.